I had always intended my first baby’s nursery to be woodland themed, however, as soon as we learned that we were having a girl my husband had some primeval urge to paint everything pink. Slowly but surely, everything became fluffy, glittery and girly, and my dreams of a gender-neutral nursery were dashed. There’s still a hedgehog doorstop, badger soft toy and toadstool nightlight to be found if you look carefully. Up until this point her nursery has served solely as a place to store clothes and change nappies, however, even though Penny is only 9 weeks old, she’s so long that she’s nearly outgrown her Moses basket *sob*, so it’s only a matter of time until she must make the dreaded move. Thank God for the video monitor at my bedside and the comfy chair we picked up from Ikea, I fully intend to spend the majority of my nights either staring at that screen or curled up beside her. I’ve been making preparations for the big move. Her beautiful white cot now contains a cosy light-weight blanket by Clair de Lune, soft cotton sheets decorated with little bunnies and Airwrap*, the UK’s number one cot bumper alternative, around the sides to keep her safe and snug. Airwrap’s secure and adjustable Velcro fitting allows it to fit most cot frames and is available in various designs and colours to coordinate with your nursery. I chose the four-piece machine washable set in white. 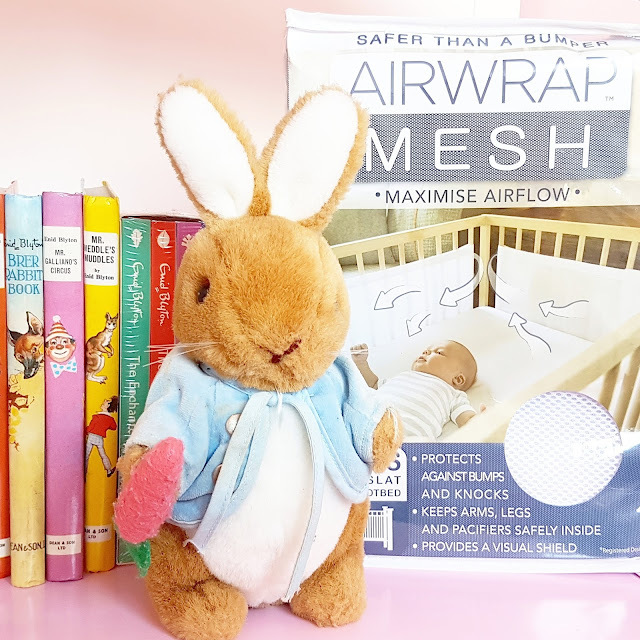 The breathable cotton muslin and lightly padded polyester mesh protects the baby against knocks and bumps whilst keeping her arms and legs safely inside. The unique design maximises airflow around the cot which helps to reduce the risk of overheating and, unlike traditional cot bumpers, doesn’t come with any hazardous ties. The thin collapsible fabric also ensures that it can’t be used as leverage to climb from the cot when Penny gets older. 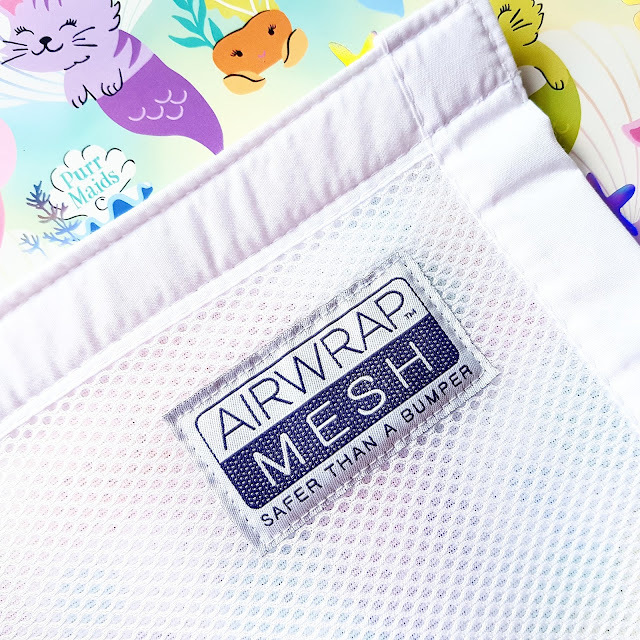 The Airwrap Mesh Cot Bumper Alternative retails from £24.95 and is available here. "Halloween at Lush | Pumpkin Bath Bomb & Boo Bath Melt"
"September Degustabox | The Surprise Food Subscription Box (£7 Off Promo Code)"